EasyGSM/GPRS GM862 board is a breakout board for quad-band Telit GM862-QUAD GSM/GPRS module as well as for Telit GM862-GPS version. 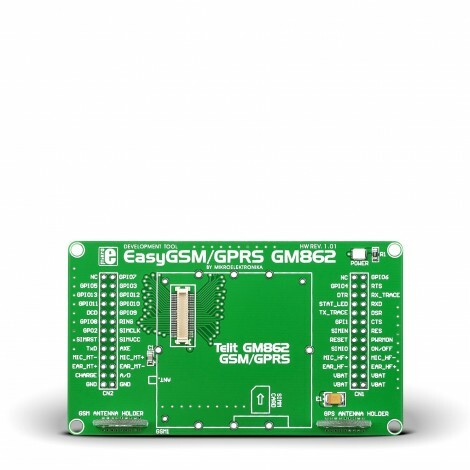 It features module connector, antenna holder for both GSM and GPS antennas, power LED and connection pads for each module pin. Board also includes mounting holes for easier integration. It is compact in size and rich in silkscreen markings.